X360Racketboy has collected a list of retrogaming port announcements that are sure to interest retrogamers who don't want to go the emulator route. 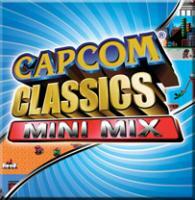 The GBA is getting a 3-game Capcom pack that includes Bionic Commando and Strider (whatever happened to that franchise? ), and the Xbox 360 Live Arcade is getting a whole suite of really sweet classics (including Paperboy and Sonic). It really amuses me how many "obsolete" games are showing up on modern consoles these days--a testament to their status as true classics. Of course, this ties in nicely with Nintendo's announcement to cater more to touch gamers this time around.